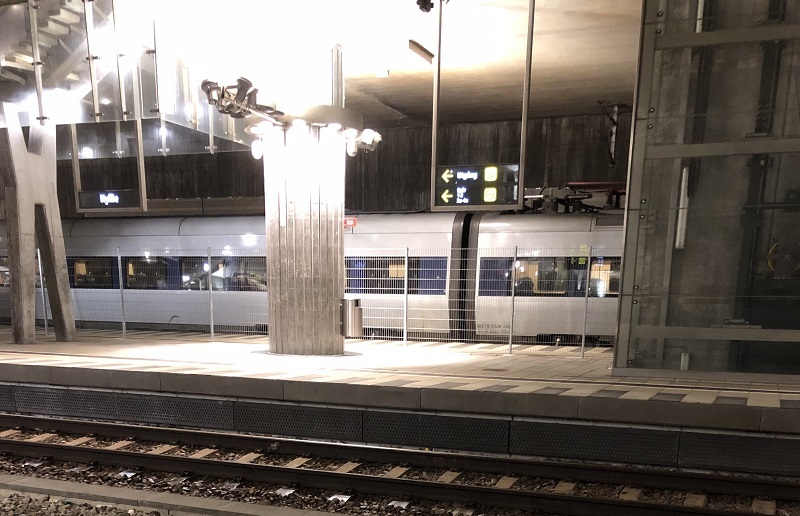 Skånetrafiken trains and technical problems: Trains, signals and tracks are something that almost every day causes problems for thousands of passengers and no one actually does anything about that. Suddenly the train stops a hundred meters before the central station in Copenhagen. That is nothing new when talking about the Öresundståget trains. But the news are that a dialogue between train staff and train driver shows us how Skånetrafiken as a public transport company actually treats their passengers. What is happening? Are we going to move forward soon? What can I tell them? He meant the passengers when he used the word ”them”. In his voice and way of pronouncing that word we could here a very negative sound. We are standing still because of some small technical problems. We are working hard on it and will continue as soon as possible. Sorry for the inconvenience. Skånetrafiken trains and technical problems: The train (Öresundståget) at Hyllie station in Malmö city waits for a new start signal. The impression is that the train crew does not take those problems seriously. They handle passengers as if they were idiots. Skånetrafiken as a big public transport company within southern parts of Sweden and between Sweden and Denmark shows us their real face. Cases like this appear to be a part of Skånetrafiken’s normal behavior. Will that be changed ever? No, it does not look so. After 11 years of experience of those trains we can tell that they only are good on rising the prices. Their quality sinks more and more for each day. On the other side they are not the only one to blame. The Swedish government seem to pretend as they do not hear or see anything. Trains, signals and tracks are something that almost every day causes problems for thousands of passengers and no one actually does anything about that. ← Graffiti – artwork or something else?